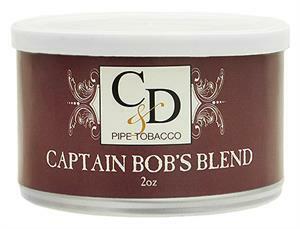 2 ounce tins in stock. 8 ounce tins or 1# bulk are a special order. Named for friend and customer Capt. Bob Coffey. A blend of Virginias and Burleys with just a dash of Latakia and Perique and finished with a refreshing flavor.